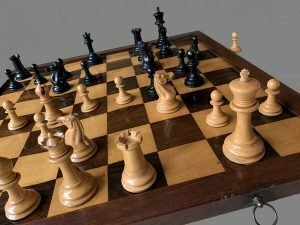 Jaques Lessing Staunton Chessmen, Small Club Size. 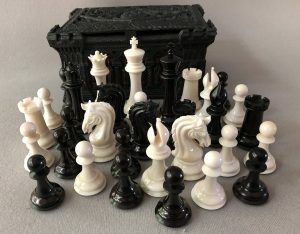 An exquisite set of Jaques Lessing Staunton Chessmen, natural and Black-stained. 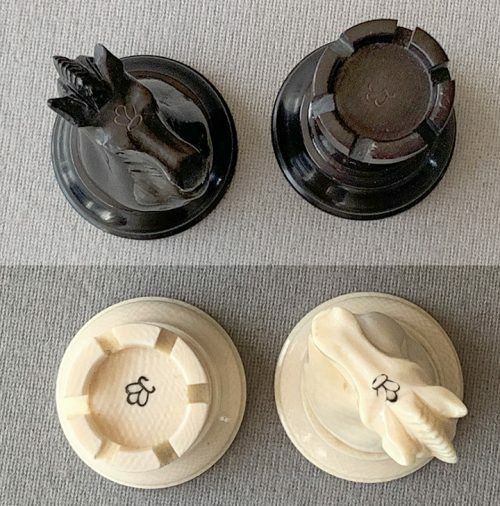 “Jaques London” is inscribed on the base of the both Kings and the King’s crown is imprinted on the summits of the Kingside Rooks and Knights. 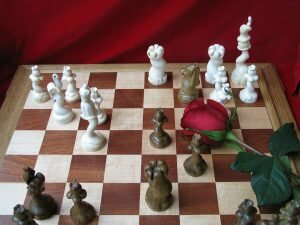 A very attractive set with very aggressively carved Lessing-style Knights. 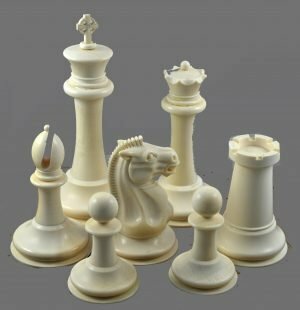 The King stands 3-3/4″ tall with a 1-3/4″ diameter base. In the post-1899 advertisements, this size set was referred to as the “Small Club Size”. After the company incorporated in 1899, the sizes changed somewhat. The Small Club Size now sets had 3-3/4″ to 3-7/8″ King with 1-3/4″ to 1-7/8″ diameter bases. The pre-1899 Small Club-size sets had 4-0″ Kings with 1-7/8″ diameter bases. 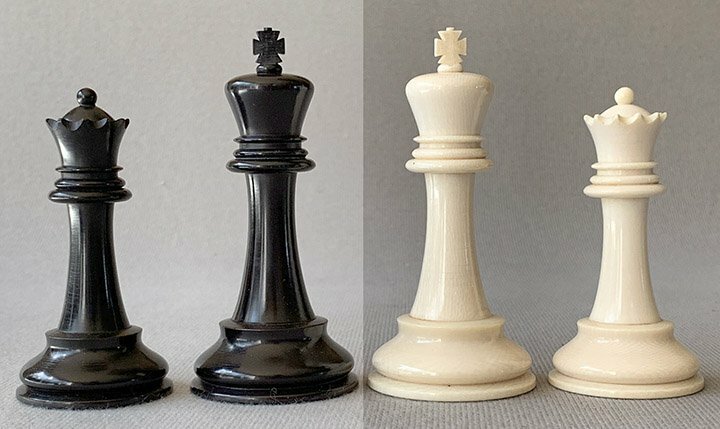 The post-1899 full Club set now had a 4-1/4″ King with a 2″ diameter base. 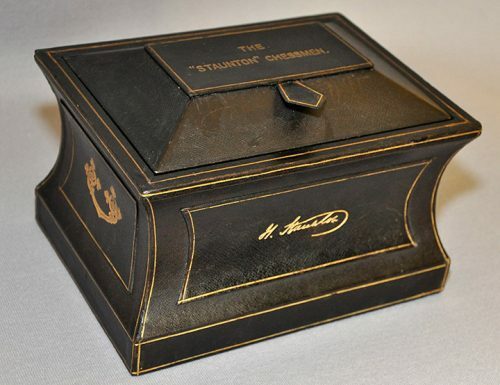 The chessmen are housed in their original, expertly restored green leather casket. 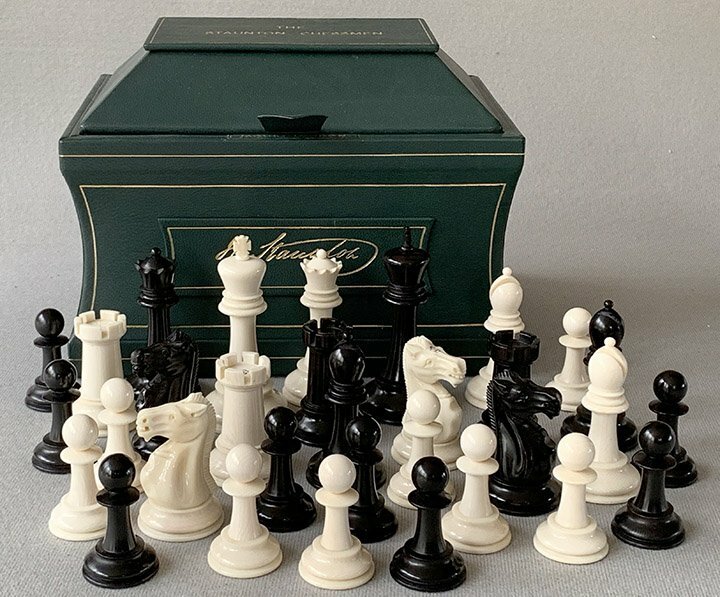 The Jaques Lessing Staunton Chessmen and leather casket are in excellent condition. This design dates to around 1920. 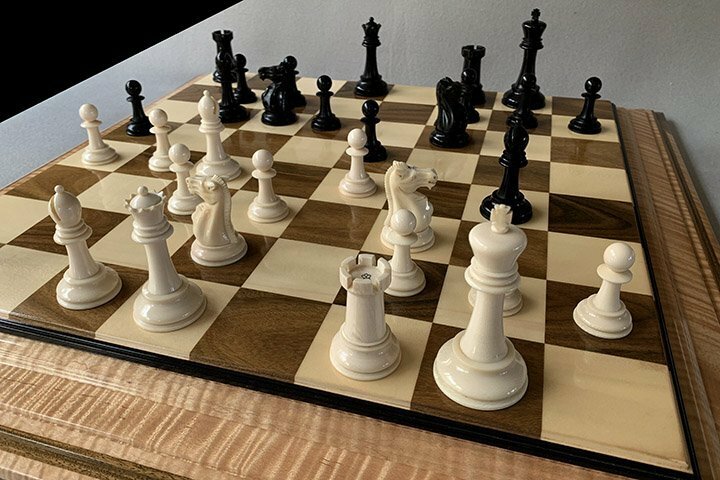 The Signature Verawood and Holly chessboard shown is not included in this sale, but are available elsewhere on this site. 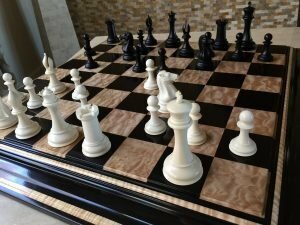 For our complete inventory of antique and modern chessboards, check here. 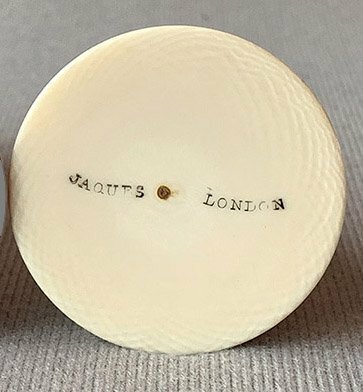 For a brief look at the Jaques Company story click here. 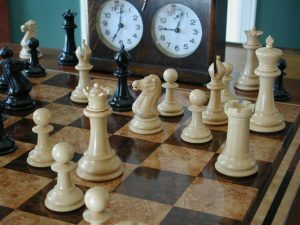 If you are looking for more information on the Staunton Chessmen, check here. 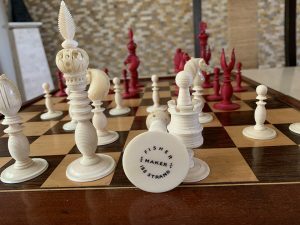 Some tips on collecting Staunton chessmen can be found here.